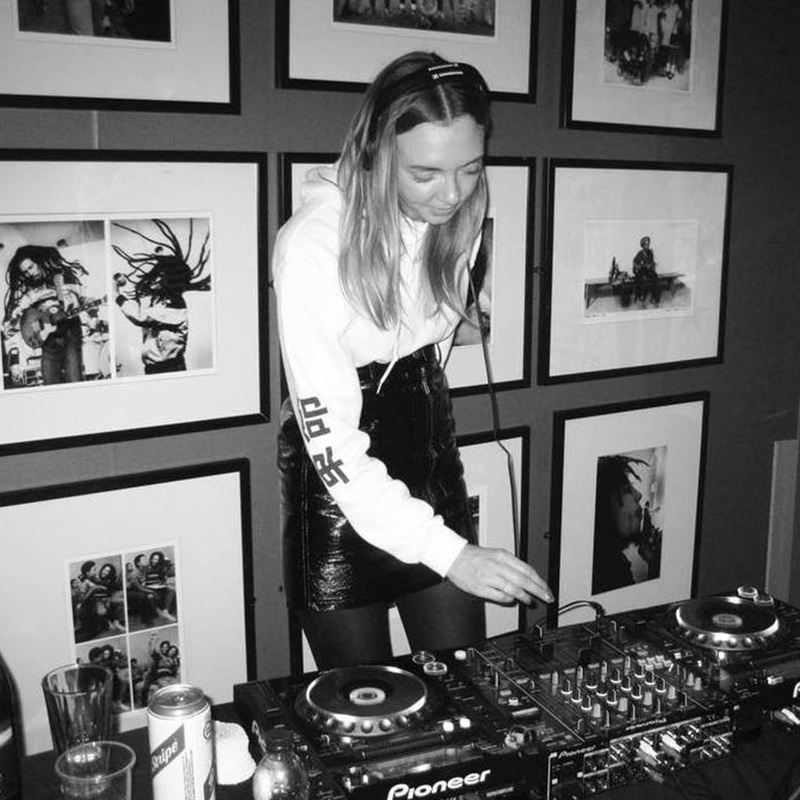 We've teamed up with guest blogger Faye Williams, aka DJ Trudy Knight from Island Records to give you the low down on how to manage your social media like a pro! Read this blog for industry-level advice and the same strategies used to manage huge artists on the Island Records roster. We'd like to also say a big thank you to Faye for this excellent insider insight, and not to mention all the invites to the Island Records HQ parties! Awareness - Build your 'online portfolio' for any potential media supporters, collaborators and partners to browse. Differentiate yourself from the competition. Feedback - Your fans are your truest focus group. @DonaeO drove a conversation on Twitter based on demand for a return of Funky House, which resulted in an album. Communication - Communicate your ethos, points of difference, what you stand for. Portray your artistry, passions, intention, inspirations, values and voice, before somebody else does on your behalf. Networking – slide in to those DMs to explore collaboration opportunities. Use ‘dark social tools’ to maintain relationships with fans. Pillars – trial and decide on three main types of content you post around for focus. Provoke an emotion- funny, inspiring, informative to trigger responses and shares past your fan base – @MayaJama has this down to a T.
Show day to day interests outside of music which influence you - fashion, travel, food, people, the arts, fashion, hobbies – @professorgreen is a master of this and is now on 800k followers. Regularity – maintain engagement by posting regularly, for steady growth. Consistency – stylistic consistency is important to differentiate yourself on Instagram from everybody else who uses it on a personal level. You want somebody to arrive at your profile and pick up instantly that you are an artist. You can send one or twenty tweets a day, just as long as it's consistent. What’s your thing? A certain emoji, photo filter, hashtag, what will you be recognised for online? @Giggs breaks all of the frequency posting rules on Instagram but his theme is consistent so it works. Give Back - Balance out promo messaging with personal and engaging posts - nobody wants to follow somebody who takes and doesn't give back. This also works with the Facebook algorithm. But at the same time… always bring it back to the music- you don't want your fans to be there just for the selfies or Twitter beef. Flava D and Endor have both nailed their music focused content on Facebook. Tools - Use other platforms and tools to curate content. Keep a Spotify playlist updated regularly to communicate on socials about your music genre interests, show you’re ahead of the curve with music discovery. VSCO, Whiteagram and Canva are great photo editing tools if you’re not a Photoshop pro. Utilise each social platform’s best performing features. Native videos on Facebook and Twitter. Live videos and stories on Facebook on Instagram. Keep up to date on social media platform updates by following blogs such as Digiday Daily, Mashable and Music Ally. Opportunities – make sure you’re securing pics and vids when you’re playing live – ask a friend or the promotor if there isn’t a professional photographer booked. Set up a studio cam and edit later to capture golden moments. Bank content for later and go live on Facebook and Instagram. Tap in to communities and broaden your reach past your fan base with your content and captions. Peggy Gou and Siobhan Bell do this really well with their fashion focused Instagram pictures, Jeanie Annan-Lewin (@jeanieus) is a stylist and showcases her style and knowledge by building up a following on Instagram around her meme style content. Be topical – don’t be embarrassed of using hashtags to tap in to conversations and current events. Conversations and content with your crew/circle – potential fans like to see what scene you are a part of to get a better of idea of what you are about – @AnnieMac and @SnoochieShy are great at this on Instagram. Try, test, check the stats - Engagement on the right content and online buzz is more important than a big audience and numbers, it shows a real appetite for your posts. Plus engagement then leads to growth. Follow these steps and you're sure to shine like a pro online, but don't forget you need to practice those skills in the studio too, don't get stuck in the scroll hole! Want to learn more about how to manage your social media and promote yourself as a DJ? At London Sound Academy we provide one-to-one tuition from beginner to advanced levels. When you complete the course you will join the LSA alumni community which includes almost 1000 DJ and Producers, plus all the LSA tutors and collaborators. It's a tight-knit community of artists who are there to help each other, regularly swapping advice and helping each other as a team to collectively take their DJ and Producer careers to the next level. You won't find a more active community of DJs and Producers in the world. If you'd like more information on our courses and benefits of graduation just use the contact page.